You can do better. We can help! For non-profit organizations, there are several ways to raise the funds necessary to function. Some organizations rely on television, print, and radio advertisements to solicit donations, but this can be rather expensive. Some organizations sell cookies (I think you know who we are talking about. Thin Mints, please!). Some organizations send out donation envelopes, asking people to donate out of the kindness of their hearts. 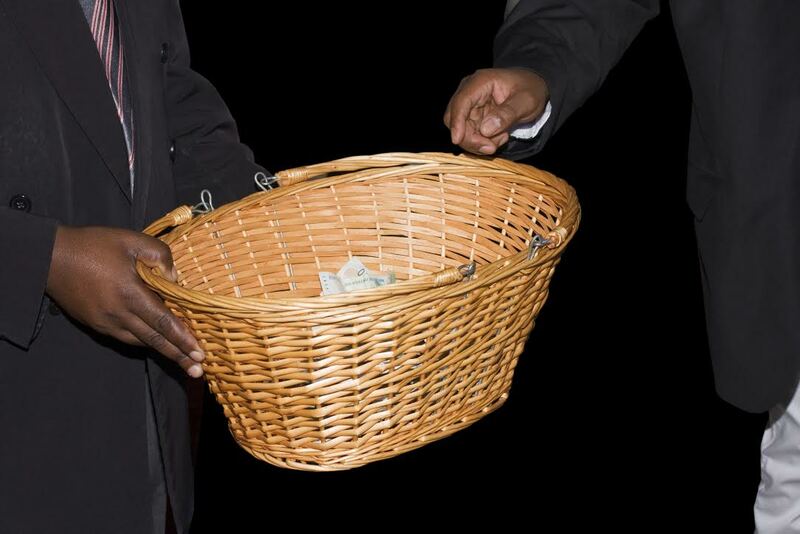 Still, other organizations follow the old adage “You have to give something in order to get something.” These organizations rely on raffles to help raise the funds they need to operate. Raffle fundraisers can be a very successful way for non-profit organizations to raise funds. There is very little upfront cost, especially if all of the prizes are donated, which means higher profit margins. The only real cost to the organization is raffle ticket printing. Time Printers is a full service printing products and services business located in Baltimore, Maryland. Our experienced sales team can help you design custom raffle tickets that will encourage people to participate and help your organization raise funds. That’s a win-win scenario if we’ve ever heard one. 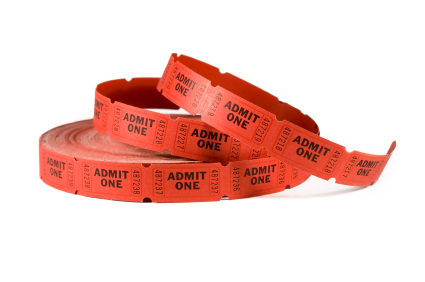 Time Printers can meet all of your event planning needs, including raffle ticket printing. Our tickets come in a wide variety of colors and sizes and can feature tear off stubs, perfect for raffle fundraising. There are a several options when it comes to finding prizes for your raffle. You could do a 50-50, where the prize is 50% of the money collected for the raffle. This is the easiest way to handle prizes, but can significantly eat at your profits. Your other options are 1) purchasing prizes yourself or 2) asking local businesses to donate potential prizes. The price set for tickets can make or break a raffle fundraiser. How much will you charge per raffle ticket? This will be determined greatly by the prizes you are offering. You can charge a lot more for a car raffle than you can for a gift basket raffle. The legal guidelines regarding raffles vary from state to state. Do a little research to find out about your state raffle laws and restrictions in your county and city. Raffle fundraising is great for organizations of all shapes and sizes. Raffles are easy to plan and require little manpower. Because there are very few costs involved with raffles – aside from raffle ticket printing – these fundraisers are less risky than big events. Raffle fundraisers can be very successful fundraisers for a variety of organizations. To learn more about Raffle Ticket Printing, give Time Printers a call today at 410.566.3005 or click here. You can also connect with Time Printers on Facebook, Twitter, Google+ and Pinterest as well. Much like homes or businesses, churches have ongoing financial commitments to worry about: heating and cooling, electricity, water, maintenance, and so on. That is on top of the church’s mission to contribute financially to local, national, and international organizations and charities. As you can imagine, this all adds up, which is why churches rely on donations to help cover these financial commitments. And parishioners rely on Church Offering Envelopes to better track their donations for tax purposes. Even in today’s technology-driven age, church offering envelopes still play an integral role in attaining contributions and sustained giving from parishioners. Come tax season, it is important for parishioners to be able to track their charitable donations. Church offering envelopes allow churches to record donations and send parishioners annual receipts in order for them to claim these deductions on their taxes. Most churches retain the envelopes as physical donation records to comply with IRS laws. The use of church offering envelopes allows churches to mail these envelopes to parishioners in advance. This helps serve as a reminder to donate at the upcoming service (No more, “Oh, I forgot to grab cash!”). Plus, including a mail-back option allows members to give even when they are not physically present. All in all, surveys show that mailed envelopes generate increased contributions of about 18%. A well-designed, visually pleasing envelope helps convey the church’s mission, grab people’s attention, and encouraging giving. Shouldn’t you have the option of designing your own church offering envelopes? No one knows what your church needs more than you do. Time Printers is a full service printing products and services business located in Baltimore, Maryland. Our experienced sales team can help you design custom church offering envelopes that will not only help your church solicit more donations, but also help your congregation track their donations for tax purposes. That’s what we like to call a win-win! Our envelopes are made of high quality paper stock and we offer a variety of envelope color and layout options. Being a community printer for over half a century, we’ve come to work with many churches and religious organizations throughout the region. We understand what you need and can deliver a high quality product in a timely manner without the hefty price tag. To learn more about Custom Church Offering Envelopes, give Time Printers a call today at 410.566.3005 or click here. You can also connect with Time Printers on Facebook, Twitter, Google+ and Pinterest as well. Thanksgiving has come and gone, and so has Giving Tuesday for that matter. The holiday season is in full swing and, as they say, ‘tis the season of giving. This is the time of year that people are more generous than ever. In fact, according to the Blackbaud Index, 34% of charitable donations are made in the last three months of the year, with 18% in December alone. Charitable donations have increased since the official end of the recession in 2009. In 2013, donations increased by 4.5% from 2012. And 2014 should be no different. But with roughly 1.1 million charities and non-profit organizations in the United States, how do you convince people to donate to your cause? We may be living in a technological world, but sometimes you can’t beat the classics. 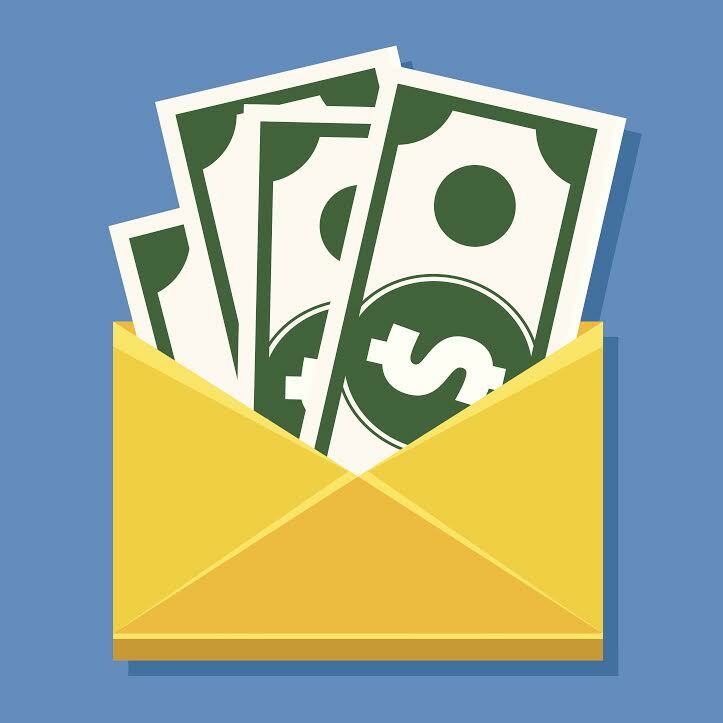 Despite the ease and relative low cost of email marketing, snail mail, also known as direct mail, is still the much more effective way to solicit donations. According to a study conducted by Campbell River, a research company, people are more than three times more likely to donate after being contacted by direct mail than by e-mail. For starters, direct mail ensures your recipient views your donation packet. According to the United States Postal Service, 98% of people bring their mail in each and every day and 77% sort through it immediately. Now just think about how easy it is to delete an email without even opening it. Time Printers is a full service printing products and services business located in Baltimore, Maryland. Our experienced sales team can help you design custom donation envelopes that will help your non-profit organization solicit more donations. At Time Printers, we feel our job is making you look good. To learn more about Custom Donation Envelopes, give Time Printers a call today at 410.566.3005 or click here. You can also connect with Time Printers on Facebook, Twitter, Google+ and Pinterest as well.